Bill Thompson feels the pain of the digitally dispossessed. I have just endured a week of limited connectivity and it has given me a salutary lesson in what life is like for the digitally dispossessed here in the UK and around the world. I have been driven to searching for open wireless access points so that I can download my e-mail, sometimes wandering the beach looking for elusive 3G signals just to get my Facebook status updated. It was my own fault, of course. I spent a few days on the Norfolk coast with my son and some of his friends in a wifi-less cottage in an area that had poor 3G coverage, though I was probably less frustrated with lack of connectivity than he was, as he wanted to keep in touch with his mates back home while I was mostly on holiday. Then I spent the weekend at the lovely Latitude Festival in deepest Suffolk, there to represent Writers' Centre Norwich as we had supported some of the poets in the Poetry Tent. No wireless there, at least none that I could get connected to - there did seem to be a private network for the tech crew to use - and the phone networks were clearly swamped as text messages were taking two or three hours to be delivered while my 3G dongle repeatedly failed to connect. Photos of the beach sat on my hard drive because I didn't have the bandwidth to upload them to Flickr, while my ambitious plans to deluge the world with AudioBoos from Latitude came to naught after the first one took twenty minutes to upload over the slowest phone connection I have experienced for at least five years. In between the Norfolk beach and the muddy fields of Latitude I had my third experience of life offline when I came into London to chair a conference organised by Arts Council England for arts organisations that want to explore the potential of new technologies to reach audiences or just work more effectively. The real benefits of the online revolution will only come when net access is seamless, pervasive and guaranteed. The conference took place in the Lilian Baylis Theatre at Sadler's Wells, a wonderful space that works really well for conferences because the acoustics and lighting are designed for performance. Most conference centres are so soulless and dispiriting it takes all your energy to stand up at the lectern, so it was a pleasant contrast to be in an inspiring space. We had wifi access inside the theatre as the conference included tutorials on social networks and online engagement, and the audience were encouraged to contribute questions online so they could be displayed on the screen behind the speakers. Unfortunately the wifi stopped working about half-way through the first session of the day, and those of us with smartphones and laptop dongles were forced to resort to slower 3G connections. It appeared that we had overwhelmed the capacity of the wireless network that the venue had set up for us. I talked to the IT support engineer and he asked me how many of us were trying to connect, and I told him I estimated that thirty to forty people were using laptops and probably the same number had wifi-enabled smartphones. After he had recovered from the shock he explained that the wifi router they had installed could only support twenty simultaneous connections and had crashed when we all tried to log on. He was very efficient once he realised the problem and sorted out a second network and higher-capacity kit by lunchtime, but it was interesting that twenty network connections were originally seen as adequate to support one hundred and fifty people at a conference about technology. I go to many technology events now where the ratio of online devices to people is greater than one, as many of us have a laptop and a phone or two, and conference organisers are going to have to adapt pretty fast to this new reality or they will quickly lose custom. But I think there's a wider lesson here. Finding myself intermittently online this week was a mild inconvenience for me, and I managed to get connected when I needed to so that urgent business could be dealt with. However slow, unreliable connections are a fact of life for millions of people in the UK, and most of the world's internet-using population, and experiencing it again myself made me realise that the real benefits of the online revolution will only come when net access is seamless, pervasive and guaranteed. The rhythm of my life now depends on easy and fast online access in the way that the driving beat of drummer Suren de Saram supports the frenetic guitar sound of Bombay Bicycle Club - one of the best acts at Latitude, by the way. I have grown accustomed to being able to respond quickly and easily to people, to having much of the world's information at my fingertips, to being able to share my thoughts and observations with my online friends and those who have chosen to listen as I think out loud. Without it I slow down. Things get lost or forgotten, ideas go nowhere and trains of thought are shuffled into the sidings and are neglected. An unreliable network is worse than no network at all, and forces me to limit my imagination to those things that don't rely on being online all the time. 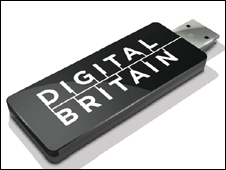 Although the recent Digital Britain report was criticised for proposing that we should aim to offer universal access to a relatively slow 2Mbps (megabits per second) network connection by 2012, on reflection I think that a reliable and pervasive two megabits might be enough to kick-start the next stage of the network revolution, because it will allow everyone to begin to embed online access into their lives. Once we do that, then the demand for faster access will grow, but it will also be possible for commercial operators to see the benefits on offering next generation access, creating a virtuous circle that will benefit us all. Being offline has been a learning experience, but it's nice to be home to my twenty megabits. I just hope that there's some connectivity at the Port Eliot festival, where I'll be next weekend! 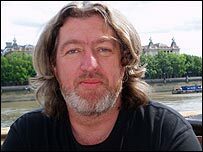 Bill Thompson is an independent journalist and regular commentator on the BBC World Service programme Digital Planet.